Senegalia senegal (L.) Britton, Acacia circummarginata Chiov., Acacia cufodontii Chiov., Acacia glaucophylla sensu Brenan, Acacia kinionge sensu Brenan, Acacia oxyosprion Chiov., Acacia rupestris Boiss., Acacia senegal (L.) Willd. subsp. modesta (Wall.) Roberty, Acacia senegal (L.) Willd. subsp. 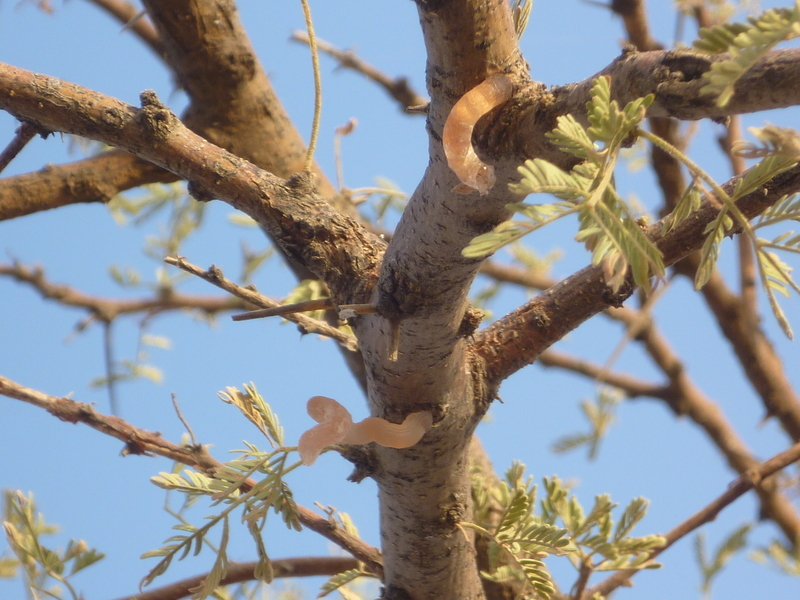 senegalensis Roberty, Acacia somalensis sensu Brenan, Acacia sp. F. White, Acacia spinosa Marloth & Engl., Acacia thomasii sensu Brenan, Acacia volkii Suess., Mimosa senegal L.
The taxon Senegalia senegal (L.) Britton is recognized by some authors as the correct one for the gum arabic tree. However, the name Acacia senegal (L.) Willd. remains widely in use. The gum arabic tree (Acacia senegal (L.) Willd. or Senegalia senegal (L.) Britton) is a legume tree from the dry tropics and subtropics. It is valued for the production of gum arabic, the only acacia gum evaluated as a safe food additive. The leaves and pods are browsed by livestock. The gum arabic tree is a low branching, small, and spiny tree, which grows up to 7-15 m in height with a girth of about 1.3 m (Kew Gardens, 2016; Duke, 1983). It has a rounded, flat-topped crown (Orwa et al., 2009). The tree is deciduous, dropping its leaves during the dry season. Under dry conditions, the taproot develops to a great depth allowing the tree to become larger than usual. The trunk is about 30 cm in diameter and is covered by a greyish-white bark that becomes dark, scaly and thin in old trees (Kew Gardens, 2016; Orwa et al., 2009; Bekele-Tesemma, 2007). The tree bears prickly branches, armed with three hooked thorns, up to 7 mm long, just below the nodes. The leaves are pinnately compound, 3.5-8 cm long. Their rachis may be spiny. The leaflets are linear to oblong, 1-9 mm long and 0.5-3 mm wide. They may be sparsely hairy and a pale glaucous green in colour (Kew Gardens, 2016; Bekele-Tesemma, 2007). The yellowish-white and fragrant flowers are borne on cylindrical spikes, 5-10 cm long. The fruits are straight, hairy, flat, dehiscent papery pods, about 7 cm long x 2 cm wide. Green and pubescent when young, they become a shiny bronze with maturity. They contain 3-6 smooth, flat shiny seeds (Kew Gardens, 2016; Bekele-Tesemma, 2007). The most important use of the gum arabic tree is the harvest of gum arabic, an exudate from the bark that is tapped for this purpose during the dry season (Orwa et al., 2009). Several thousand tons of gum arabic are internationally traded every year, mainly in Europe and the USA (Kew Gardens, 2016). Gum arabic has many commercial uses: food (flavour fixative, emulsifier, stabilizer of dairy products), pharmaceutics (these two sectors representing 60-75% of the use of gum arabic), and industrial products (inks, pigments, polishes) (Kew Gardens, 2016). Gum arabic was reported to have antidotal effects as it can destroy many alkaloids (Duke, 1983). 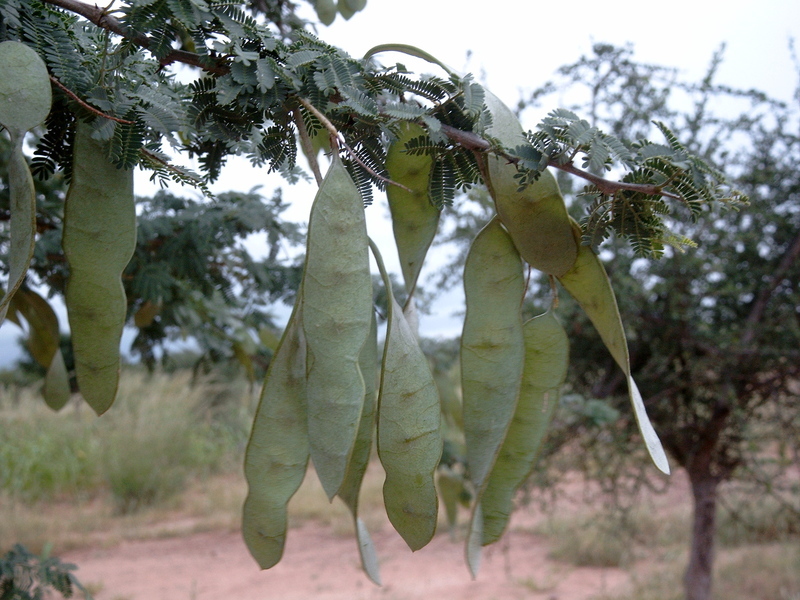 Acacia senegal seeds are traditionally used for human nutrition in Rajasthan (Ram et al., 2014). The wood is valued as firewood, and can be used to produce charcoal. The wood is also used to make utensils, poles and fence-posts. The bark and the roots provide fibre and make strong ropes and fishing nets (Orwa et al., 2009; Duke, 1983). 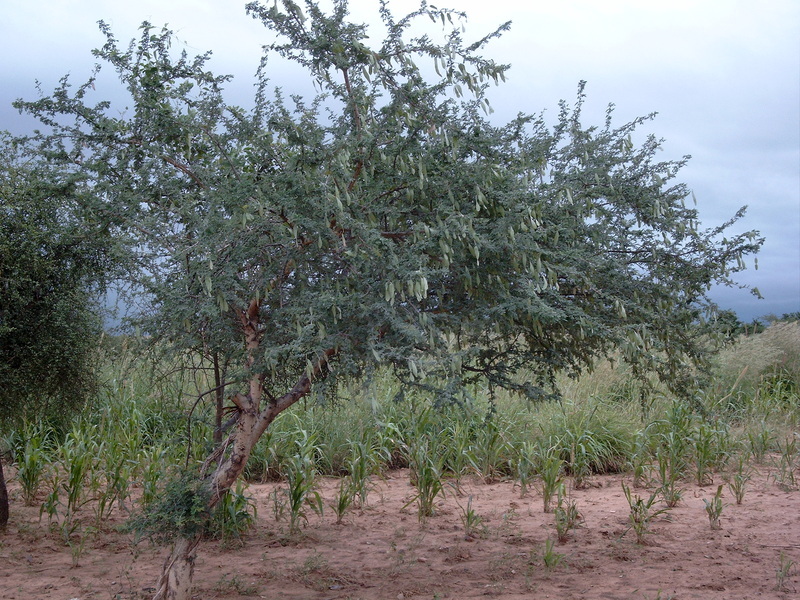 Gum arabic trees provide valuable fodder to sheep, goats and camels. Leaves and pods are browsed by domestic and wild ruminants. Flowers provide valuable nectar to bees for honey production (Orwa et al., 2009). The gum arabic tree is native to Western Sudan, Nigeria and the Arabian Peninsula. It is commonly found in tropical areas of Western and Central Africa, and in Eastern Africa from Mozambique to South Africa (Kew Gardens, 2016). It was introduced into Egypt, Australia, Puerto Rico, the Virgin Islands, and South Asia. It is cultivated in India, Pakistan and Nigeria. Gum arabic trees grow where annual rainfall is in the range of 380 to 2280 mm, and annual mean temperatures between 16.2°C and 27.8°C. It cannot survive frost but is particularly tolerant of drought. 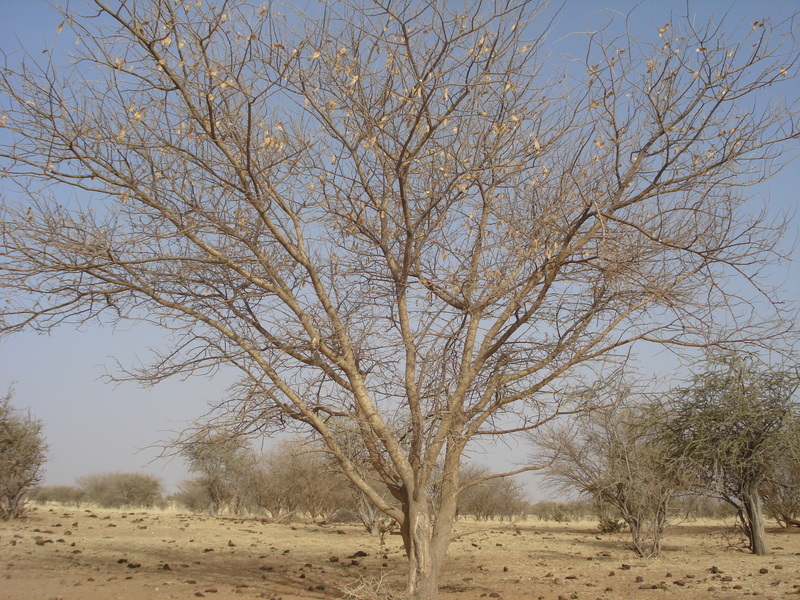 The gum arabic tree thrives in the drier parts of Sudan and in the Northern Sahara. It can survive in places where drought lasts for 11 months. It thrives on rocky slopes and sandy soils, but also on clay plains and cotton soils with a pH ranging from 5 to 8 (Kew Gardens, 2016). Acacia senegal is mainly propagated by seeds. These should be harvested before the pods have dried in order to prevent insect attacks, and then treated with an insecticide, after which they will remain viable for many years in hermetic storage at 10°C. Before planting, seeds collected in a previous season should be soaked or nicked, or put in a sulphuric acid solution for 3-15 minutes and then dropped in boiling water for 5 seconds to break the seed dormancy (Kew Gardens, 2016; Bekele-Tesemma, 2007). For vegetative reproduction, shoot cuttings are used, and seedlings should be watered every 7th day (Orwa et al., 2009). Gum arabic trees can be raised in nurseries or directly in the field. As the tree is slow to establish, the field must be carefully weeded prior to planting (Orwa et al., 2009). Planting should be done with a minimum spacing of 4 m x 4 m in pure stands or 10 m x 10 m in intercropping systems (with millet, beans or groundnuts). Young plants should be protected from grazing animals. The gum arabic tree can be tapped after 4 years and remain productive up to 20 year-old (Duke, 1983). Gum arabic trees are mostly used for tapping gum arabic. Higher yields of gum arabic are obtained under adverse conditions, which is contrary to forage yield. Forage production from gum arabic tree thus remains below that of other sahelian trees, which limits its use as forage (Ickowicz et al., 2005). Gum arabic trees can help prevent desertification through dune stabilisation and by acting as a wind break. It is valued in agroforestry systems where it is combined with crops such as millet, sorghum, sesame, and groundnut, and where it is reported to improve soil fertility, though its N-fixing status is debated (Orwa et al., 2009). Gum arabic tree leaves are of good nutritional value, with a protein content ranging from 15 to 33% of DM when the leaves are fresh. The leaves are also relatively low in fibre (crude fibre 14-25% of DM). The pods are also rich in protein but with a higher fibre content. No reports of toxicity could be found (2016). Like other acacia species, the foliage of Acacia senegal contains tannins. Gum arabic tree leaves are a valuable forage for all ruminants except cattle. Though forage yield remains low, leaves are relished by livestock, and provide good quality forage with high protein content and digestibility (in vitro OM digestibility ranges from 66 to 86%), and a low tannin content. Gum arabic tree forage is available at the end of the dry season, when other forages are still scarce. At that time the leaves may account for up to 15-20% of the feed intake of sheep and camelids, and 45% and above for goats. In terms of its relative palatability, Acacia senegal ranks highest among local fodder species (Ickowicz et al., 2005). Pods are palatable to livestock but their consumption destroys seed stocks and may have deleterious effects on stand management (Ickowicz et al., 2005). It was shown that only 33% of gum arabic tree seeds could be retrieved from cattle faeces, and only 1% from sheep and goats. Their viability was moreover significantly reduced: 1% germination for seeds found in cattle faeces and no germination for those retrieved from sheep and goats faeces (Danthu et al., 1996). No information was available on the use of Acacia senegal leaf meal or seeds for poultry (September 2016). Some trials have been done on the use of gum arabic and the performance of broilers and layers. When gum arabic was used at relatively high levels (2 to 7%) in the diet, feed intake tended to increase, while weight gain was unaffected or slightly increased (Al-Fadil et al., 2013; Abdalla et al., 2015). The effect on feed efficiency was not significant, although a slight degradation occurred (Abdalla et al., 2015). No major effect was observed on physiological parameters. In an experiment with lower levels of gum arabic (0.6%) used as prebiotic, feed intake was reduced and weight gain increased, leading to a significant improvement in feed efficiency (Maken, 2015). In layers fed diets containing 5 to 15% gum arabic, feed intake was slightly increased while egg production decreased (El-Khier et al., 2009). With lower levels, no major change in performance was recorded, but body weight was increased (Abd-Razig et al., 2010). The lipid profile was affected and cholesterol tended to decrease in blood and eggs (El-Khier et al., 2009). No information on the direct use of Acacia senegal forage or seeds in feeding of domestic rabbits is available in the international literature (May 2016). However, some studies report the possibility of safe utilisation of gum arabic in rabbit nutrition, for example up to 7% of the diet at the expense of sorghum grain (Ibrahim, 2007) or at the expense of sucrose or starch (Hove et al., 1957). 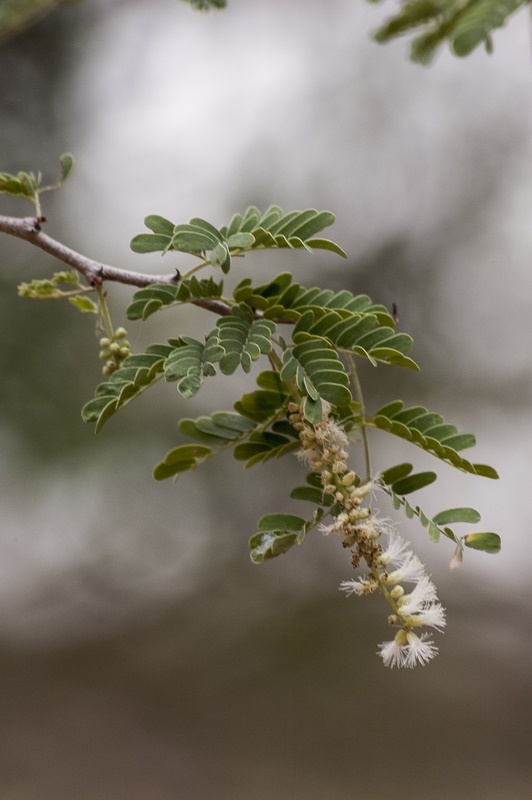 Ethanol extracts of Acacia senegal seeds administered by mouth to atherosclerotic rabbits (500 mg/kg live weight/day) were proved to be actively anti-atherosclerotic (Ram et al., 2014). These studies proved that no toxic or anti-nutritional substances seem present in this plant as far as rabbit feeding is concerned. As forage, pods and seeds are consumed by other livestock (and occasionally by humans), they can probably be used safely in rabbit feeding as a source of protein (seeds and leaves), or as a source of fibre (leaves and pods). However, direct experiments are recommended before any extensive use as a feed for rabbits. Ibrahim, S., 2007. Response of rabbits to dietary Gum arabic. Doct. dissert., Fac. Anim. Prod., Univ. Khartoum, Sudan, 70 pp. Osuga, I. M. ; Maindi, C. N. ; Abdulrazak, S. A. ; Nishino, N. ; Ichinohe, T. ; Fujihara, T., 2007. Potential nutritive value and tannin bioassay of selected Acacia species from Kenya. J. Sci. Food Agric., 87 (8): 1533-1538. Ram, H.; Jatwa, R.; Purohit, A., 2014. Antiatherosclerotic and cardioprotective potential of Acacia senegal seeds in diet-induced atherosclerosis in rabbits. Biochem. Res. Int., Article ID 436848, 6 pp.